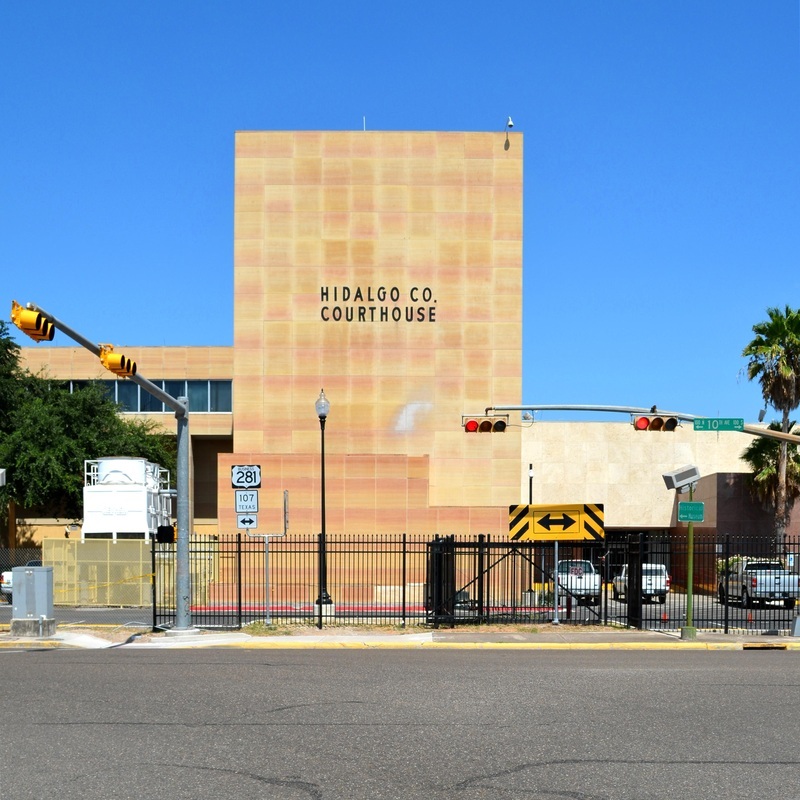 "Hidalgo County, in South Texas, is bordered by Cameron County, Willacy County and ﻿Kenedy County﻿ on the east, Brooks County on the north, Starr County on the west, and Mexico on the south. 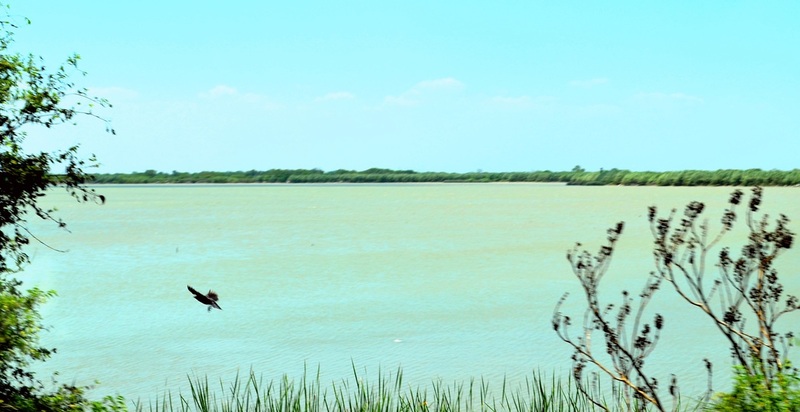 Hidalgo County comprises 1,596 square miles of the Rio Grande delta. 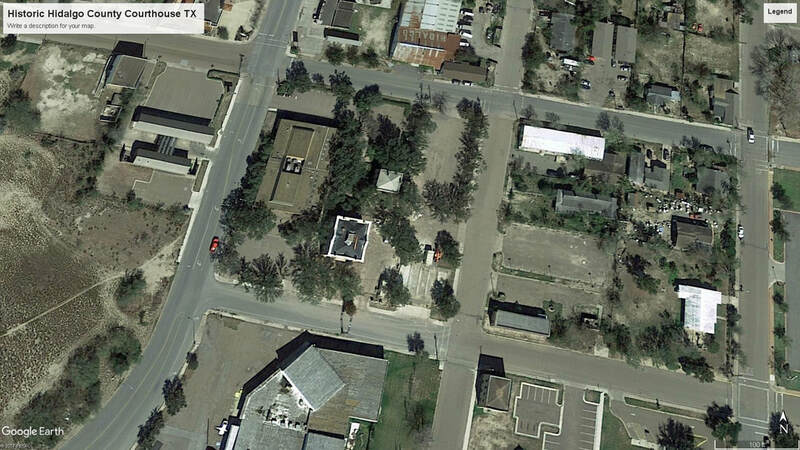 Its elevations range from forty to 200 feet. 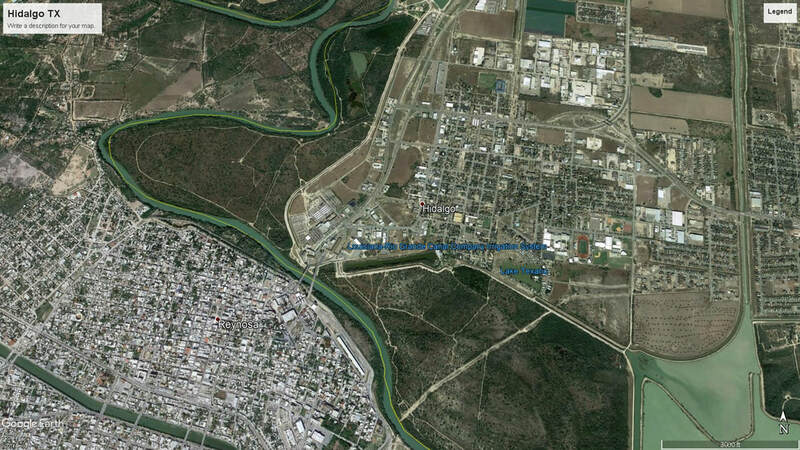 "A settlement called La Habitación, also known as Rancho San Luis or San Luisito, was established north of the river at the site of present-day Hidalgo, Texas, in 1774. 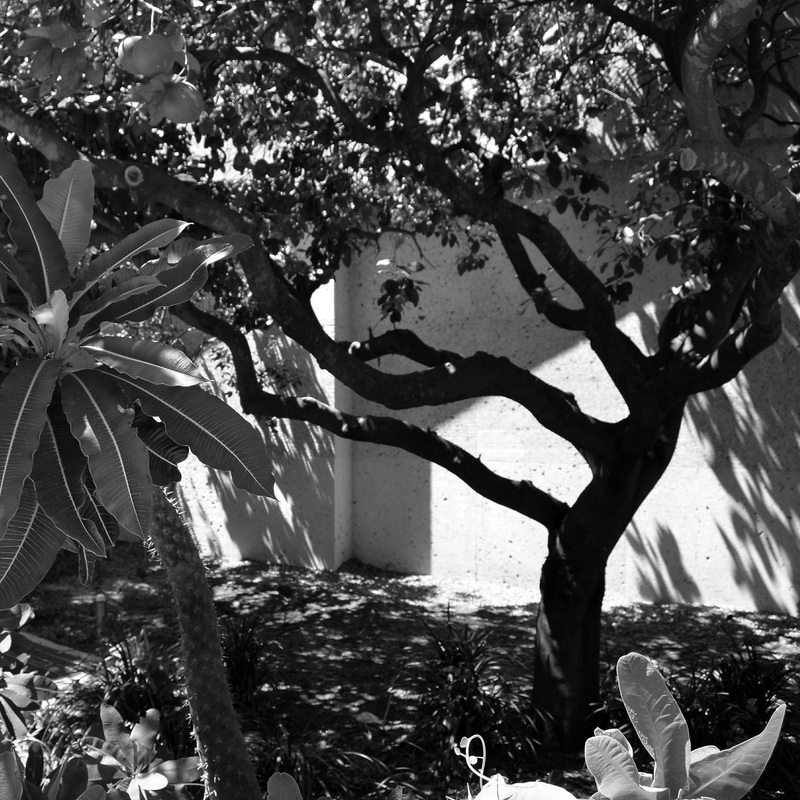 By 1836 area farmers had a thriving economic base that allowed them to export their cattle and cattle by-products into Mexico. With the outbreak of the Texas Revolution the area became disputed territory, Mexico considered it part of Tamaulipas, and Texas claimed it as part of its southern border. During the Mexican War, ﻿Zachary Taylor﻿ laid out the Old Military Road to supply his men in northern Mexico. 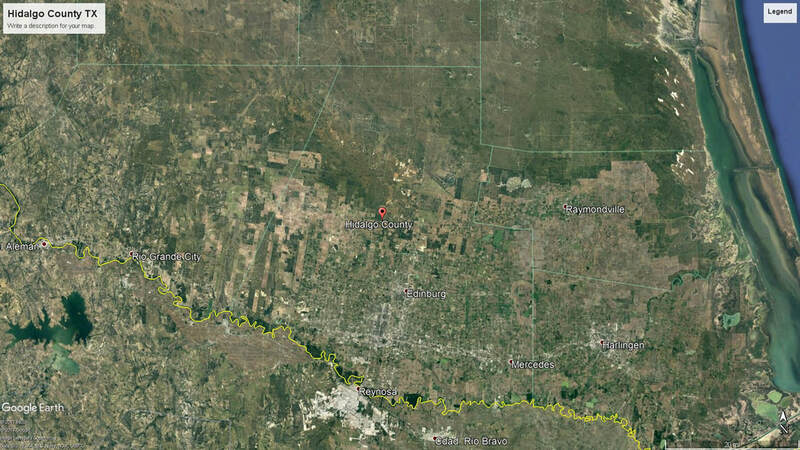 By 1850 about thirty-nine ranches were in operation in what later became Hidalgo County. 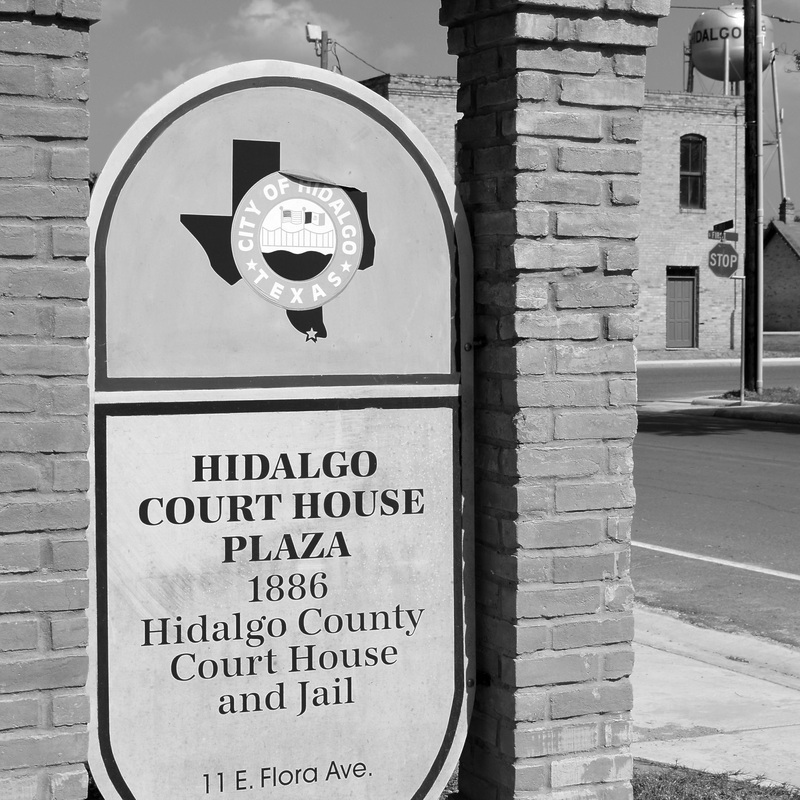 "Hidalgo County was part of the disputed territory during the ﻿Mexican War﻿. 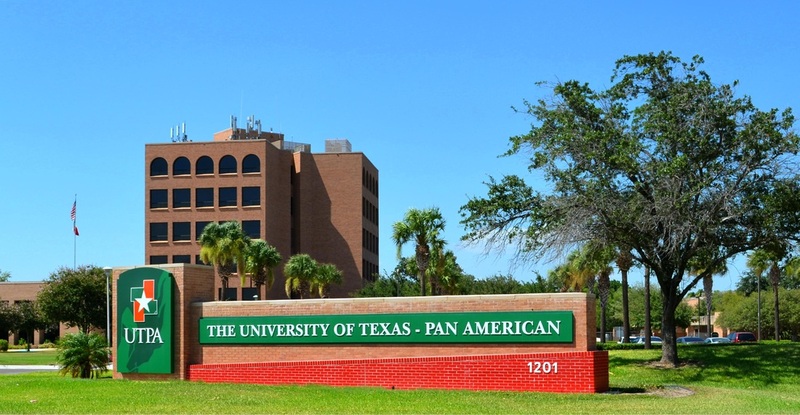 After the Treaty of Guadalupe Hidalgo of 1848 the area became part of San Patricio County. 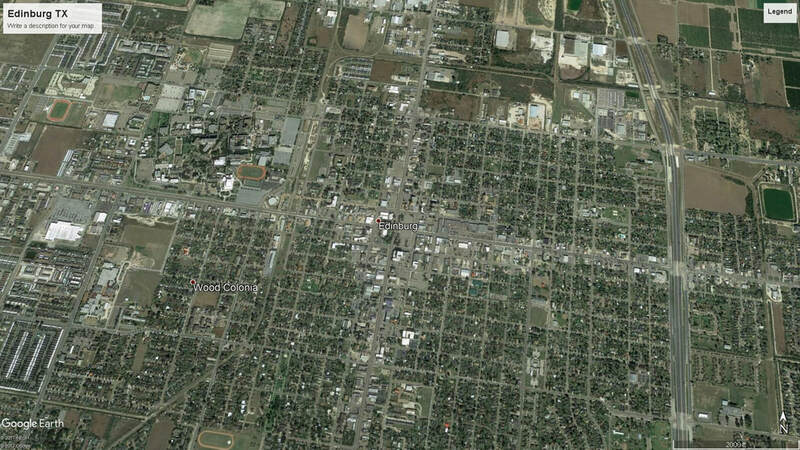 In the same year the region was further subdivided and became part of Cameron County. 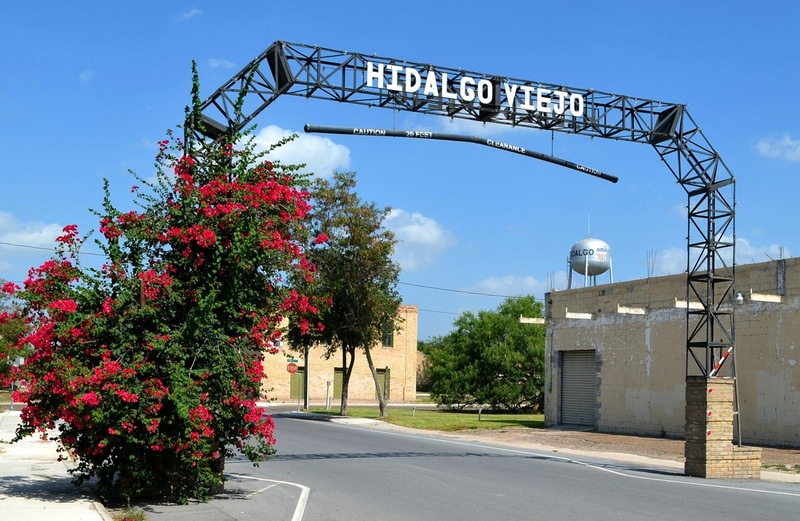 Hidalgo County was formed in 1852 and named for Miguel Hidalgo y Costilla, who gave the "cry for Mexican independence" from Spanish rule." 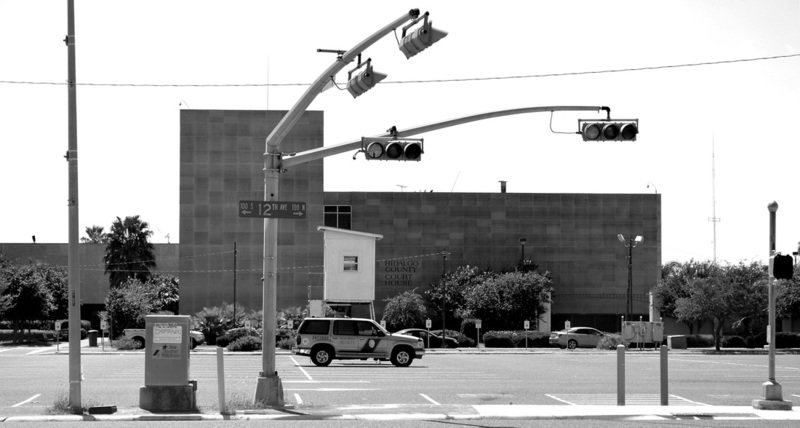 I visited Hidalgo County and photographed the courthouses in Hidalgo and Edinburg on September 25, 2009 and July 27, 2014. 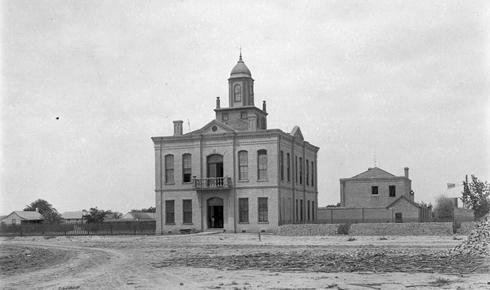 April 30, 2014: The Texas Historical Commission announced the recipients of the Texas Historic Courthouse Preservation Program Round VIII Grants. 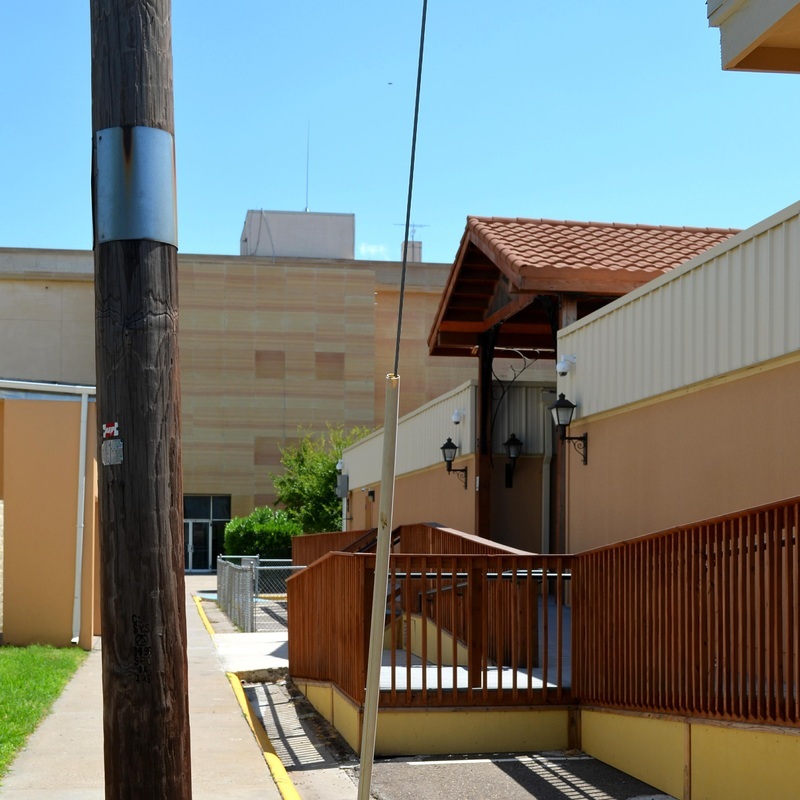 Hidalgo, City of: $450,000 grant award for all work to stabilize, restore and preserve the building including masonry restoration, reconstruction of the second floor and tower, and a total interior restoration. 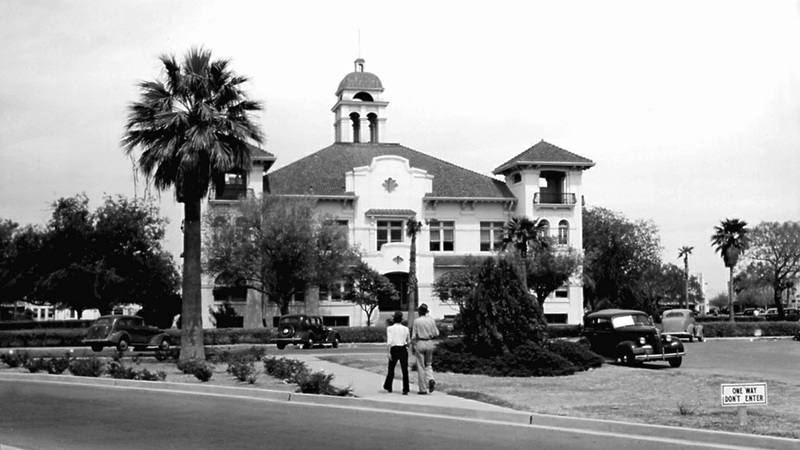 The second floor and tower were destroyed in a fire in the early 20th century. 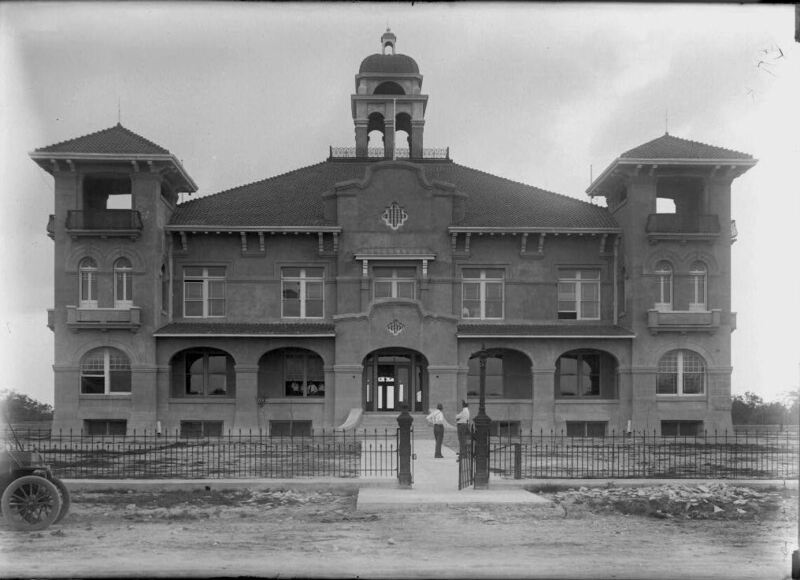 The cornerstone of the 1909 courthouse is all that remains of this significant building. 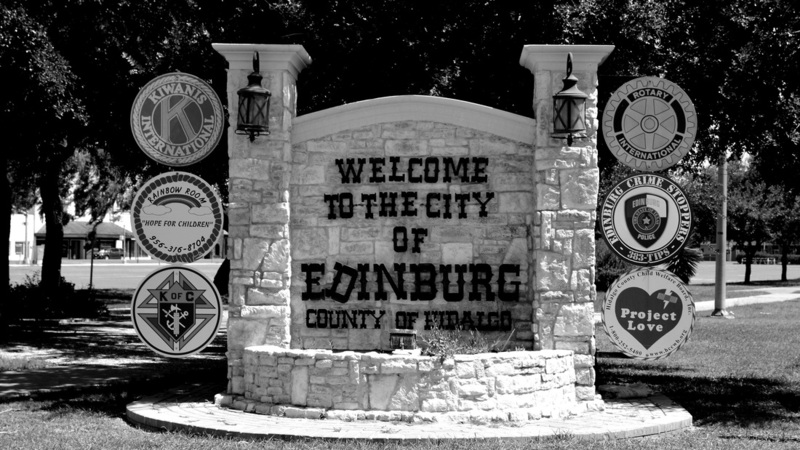 That's "Edinburg" with a crooked "D"
﻿The Hidalgo County courthouse master plan committee hosted its second meeting Monday to discuss future plans for the existing building, an antiquated facility constructed five decades ago for a fraction of the county’s current population. 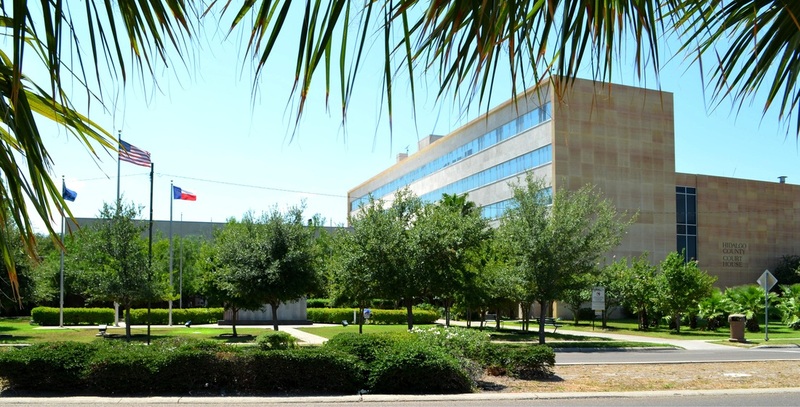 County commissioners created the committee this summer to advise an architectural firm that is developing a plan for expanding and updating the courthouse to meet current judicial needs and functions. 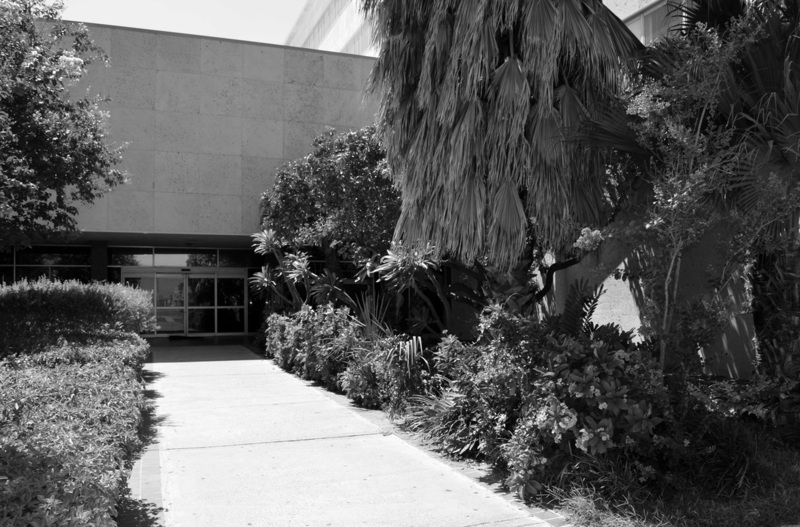 Renovating the existing courthouse to comply with standard building regulations will cost $8 million to $10 million, including updating its plumbing, electrical and technological systems. 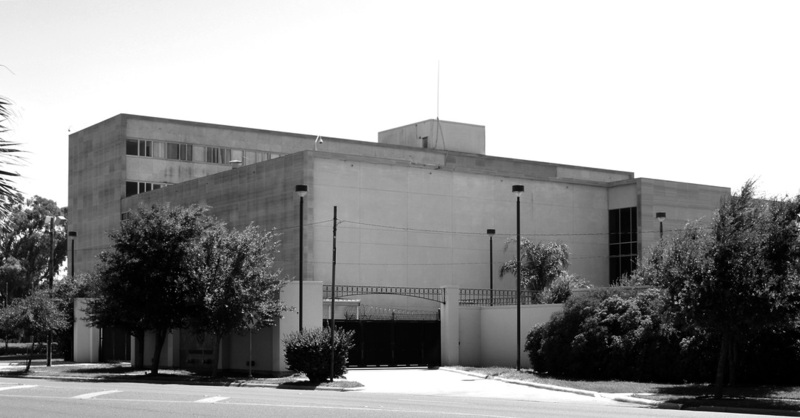 The biggest issue facing the courthouse, though, is a glaring lack of space for operations.Originally built in 1954 to house just three courtrooms, the courthouse has been expanded on three different occasions as county population growth mandated the addition of new courts. 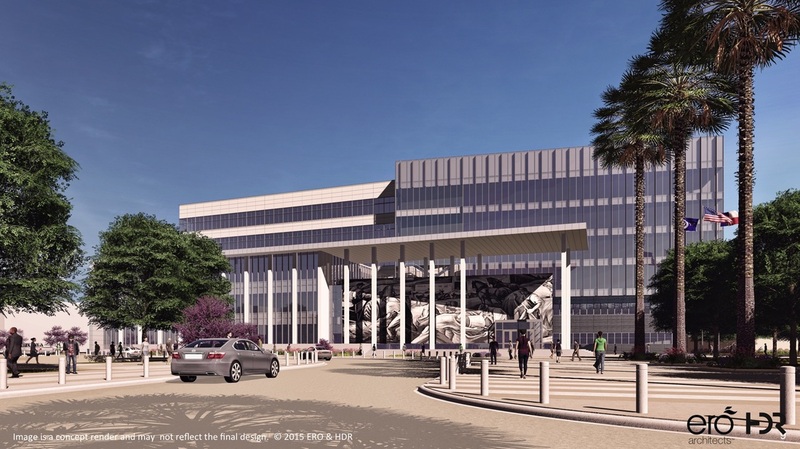 McAllen-based ERO Architects is nearing the completion of the schematic design phase of the new Hidalgo County courthouse. 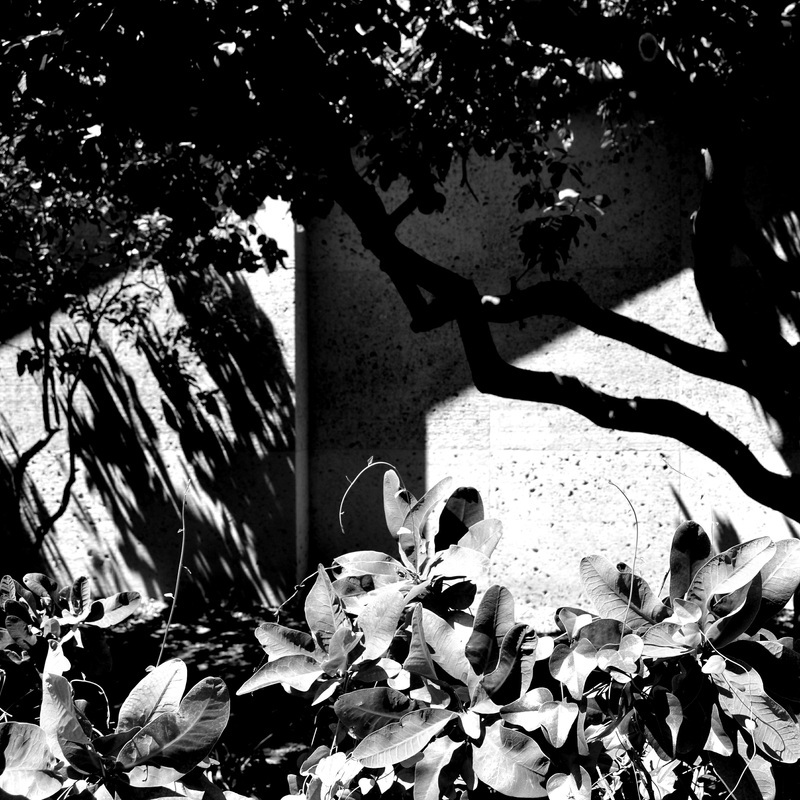 This design phase is the first of three design steps prior to construction. 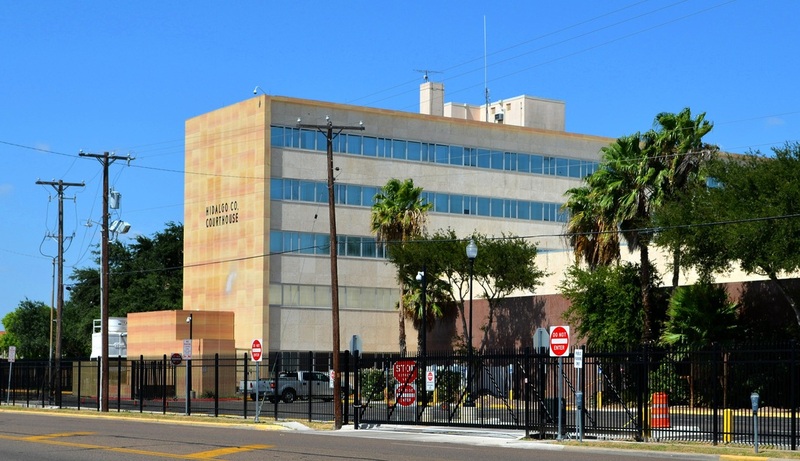 Located in the heart of downtown Edinburg, the new Hidalgo County courthouse can serve as an economic and quality of life cornerstone for the city’s urban vision and goals. 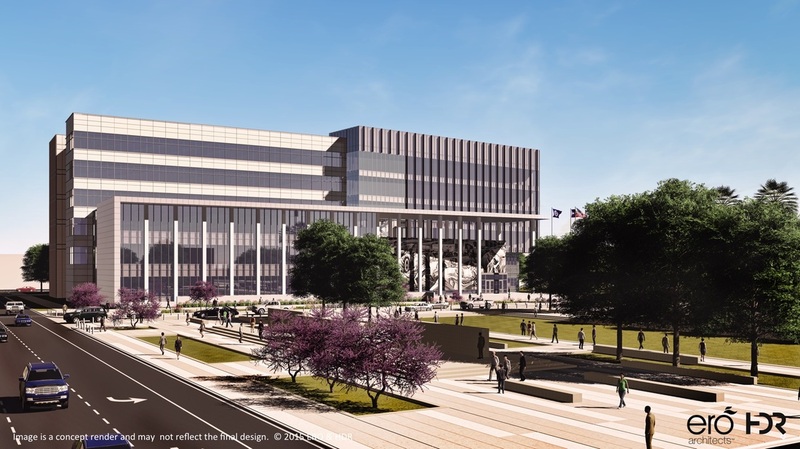 The design of the new courthouse offers a modern 21st century judicial complex that is more spacious, secure and accessible. 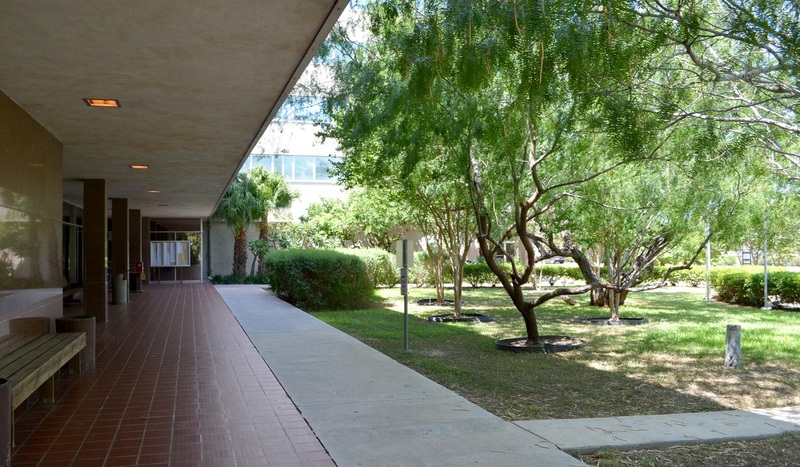 The 10-story building features a glass facade on the north side that provides an abundance of natural light with organized vertical transportation from floor-to-floor. It will accommodate 471,000 square feet of space and supports 24 courts and six additional courts for the future. 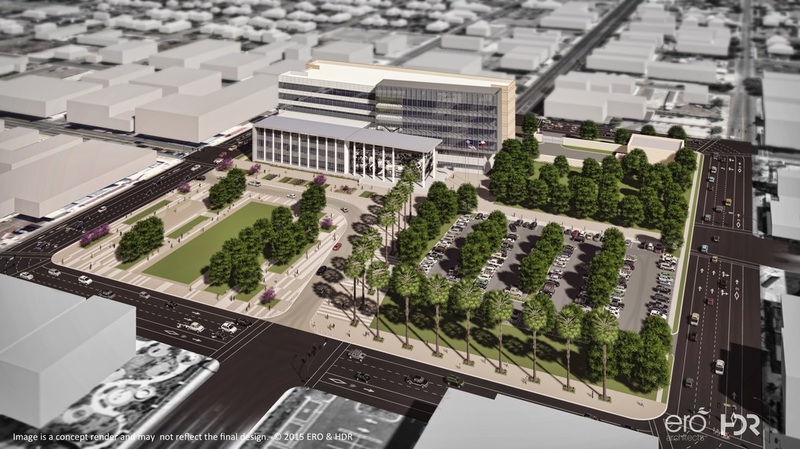 The three renderings below are shown with the permission of ERO Architects and reflect the schematic design phase. 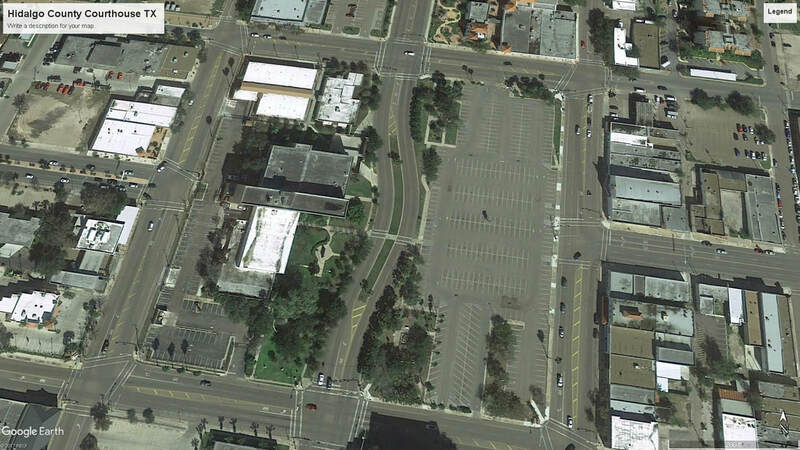 The design is subject to change as it proceeds through the design and constructions documents process.